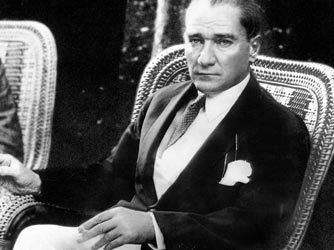 On this date 131 years ago, Mustafa Kemal Atatürk, the founder and first president of the modern Republic of Turkey, was born. He is a man of immense, almost mythical, historical importance in Turkey today, where it is still a criminal offense to express any opinion which diminishes his character. Of course, it is not my intention here to commit such an offense, for I come to praise Atatürk, not to defame him. I will first provide a brief account of his life and accomplishments, followed by my main purpose of examining the political legacy of Atatürk and why I believe he is an especially interesting and rare example of a useful, or benevolent, dictator. Atatürk was born to a middle-class family in 1881 in Salonica (present-day Thessolaniki, Greece) in the Ottoman Empire. His given name was Mustafa, and his second name Kemal was either given to him by a teacher because of his excellence, or to distinguish him from another Mustafa, or chosen by Atatürk himself after a famous poet. 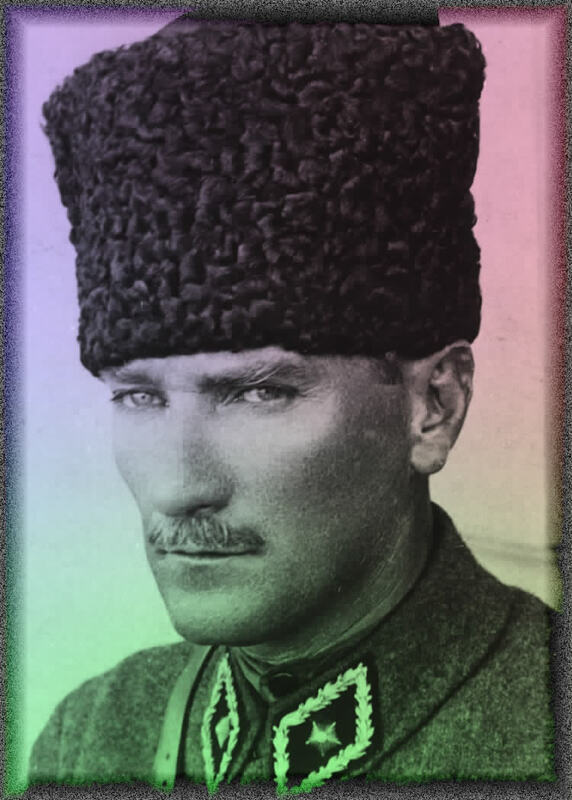 Throughout his life, he gained the further honorific titles of Bey, Pasha, Ghazi, and, three years before his death, Atatürk (which means “Father of the Turks”). We can attribute both the young Mustafa’s future military career as well as his modernizing reforms to the fact that his father had dedicated the boy to the military and also sent him to a modern secular school rather than an Islamic madrassa. Accordingly, Atatürk attended military academies from 1893-1905, and emerged as one of the Empire’s best young officers at the rank of Major. Secretly, he was also involved in revolutionary groups that intended to reform the Empire. Atatürk successfully defended an Ottoman fortress in Libya during the 1911-12 Italo-Turkish war, which was one of the few victories for the Turks against the superior Italian forces. In 1912-13, he acquitted himself admirably once more in a losing effort in the Balkan wars, where he was assigned to the Gallipoli peninsula, which would prepare him for his next, more famous task. During World War I (which Atatürk personally opposed in favor of neutrality), he was the leading Turkish commander in the Battle of Gallipoli. This disastrous and incompetent gamble by Winston Churchill caused a total of up to 250,000 deaths on both sides– Ottoman and British/Australian/New Zealand, respectively. Atatürk successfully repulsed waves of Allied soldiers and inflicted a huge defeat on the Allied forces, and won a defining victory for the Turkish people. He spent the rest of the war picking up tactical victories in other parts of the Empire against Russian and British forces, in what was ultimately a doomed Ottoman and Central Powers war effort (which he had predicted after a mid-war trip to see the front lines in Germany). The conclusion of the War saw the occupation of the Empire by British, French, Italian, and Greek forces. The partitioning of the Ottoman Empire was meekly agreed to by the sultan and was considered a fait accompli. Atatürk, however, did not support this outcome. From 1919-22 he organized a revolutionary army and ran his capital out of Ankara in opposition to the occupied Constantinople. In a series of brilliant maneuvers and diplomacy, he gradually pushed out all the European occupiers, won support for the cause of Turkish nationhood throughout the country, preserved Turkish sovereignty in all of the Anatolia landmass, and demanded to be respected on equal terms at the Lausanne conference at the end of 1922. By this time, all the other powers were too weak or distracted to continue campaigning for pieces of the old Empire, and Atatürk was able to proclaim, in 1923, the new Republic of Turkey. After leading the new government as President and then Prime Minister, he died at the age of 57 of cirrhosis, due to his heavy consumption of raki and his strenuous lifestyle. Atatürk avoided the Fascist and Communist movements that were ascendant in countries to the north in favor of his own modernizing and pragmatic ideology which came to be known as Kemalism. Introduced the concept of Secularism, establishing complete separation of religion and political powers. Replaced the Sharia court system with a secular civil code modeled after the Swiss Civil Code, and a penal code modeled after the Italian Penal Code. Abolished the Ottoman Caliphate and replaced it with the Turkish Grand National Assembly. This body was democratic in nature, which was a first for Muslim middle-eastern countries. This parliamentary system now had elections, an assembly, a Prime Minister, and a President. Began to industrialize the country, despite a complete lack of skill, educated classes, or infrastructure. Established state-owned factories throughout the country in textiles, agriculture, machinery, railroads, and automobiles, many of which became successful and privatized in the second half of the 20th century. Focused heavily on educational reforms. Only nine months into the new state, he invited eminent American philosopher and educational reformer John Dewey to visit Turkey and provide advice. A system of compulsory education with a common curriculum was begun, even if only the first four years were mandatory at first. Changed the difficult-to-learn Arabic script with a Latin-based alphabet. Travelled the country throughout his life to personally give lessons in the new alphabet, and often attended school and university classes in public. Encouraged the wear and use of modern European clothes and hats, outlawing the fez and the turban. Supported complete equal rights and opportunities for women, which was achieved in 1934 (before several European countries). Supported an expansion of the arts and humanities into areas previously neglected or outlawed by the Islamic regime. Examples include new museums, historical studies, works of art, music, literature, architecture, libraries, cultural centers called “People’s Houses”, new book and magazine publications, and an overall humanistic outlook. Adopted the foreign policy motto of “peace at home and peace in the world.” After the revolutionary war of independence, Atatürk never used military force again as a matter of foreign policy. Impressively, he established mutually peaceful friendships with his Greek neighbors, the Soviet Union, the Shah of Iran, the King of Afghanistan, King Edward VIII, the Balkans, and 15 European nations. He opened and commercialized the Dardanelles strait, and maintained a policy of general neutrality, which outlived him through WWII and to the present day. Now that we have some of the historical facts in mind, let us consider the central question– namely, Atatürk’s “dictator-ness.” If we define “dictator” as “a ruler with total power over a country, typically one who has obtained power by force,” then Atatürk surely fits the definition. The armies he raised in the War of Independence were basically revolutionary armies not just against foreign occupiers, but against the “legitimate” government of the Sultan, whom he overthrew. He maintained total control of the new nation by force from 1922 until his death in 1938. He established the mechanisms of democracy, including elections, but there was only one political party to choose from– his own. Occasionally he allowed opposition parties to appear, but if they opposed him in any substantial way they were immediately crushed. He modernized the country and brought it to the 20th century, but against the will of many people. He denounced the Armenian genocide in 1915, but later allowed the participation of many of its instigators in the War of Independence in order to have a more unified Turkey. What are we to make of these ambiguities? The list of his reforms and their positive impact is undeniable. His model of Kemalism was an important step towards the project of strengthening the new Republic and keeping it independent (from outside and inside). I think it is important to judge the man by the standards of his time, and his obstacles. He single-handedly set in motion the liberal reforms and progress on many fronts in what had been a backwards, moribund (dare I say, Byzantine) Ottoman Empire. He was a dictator in a time of many dictators, but one who actually improved his country and his people’s lives, and without the need for starting new wars. From this point of view, it was necessary for Atatürk to take the actions he did to impose his will unilaterally. However this may be, he must remain merely the exception rather than the rule, as far as dictators are concerned. For every Atatürk, there are dozens of Mussolinis or Francos who use their absolute power for rather more illiberal ends. Every modern developed country has got to this point by suffering through either a civil war or a dictator. In the case of Turkey, there has been neither since the death of Atatürk. Turkey has grown into a prosperous country with an economic growth rate equal to that of China. It is the most well-educated and liberal of the Middle Eastern Muslim countries, and this is because of the reforms of Atatürk and their lingering effect. Nevertheless, the idea of Kemalism has probably outlived its usefulness. For decades, the military maintained the independence and secular nature of the government by force, often by means of coups d’etat. The time for this practice must come to an end. The current Prime Minister, Recep Tayyip Erdoğan, has realized this and taken many steps to weaken the absolute power of the military by placing it under more civilian control. This may be frightening to some, but it is a necessary next step for Turkey to become a modern democracy. In addition, the legacy of Atatürk should be one of respect for his many achievements and his central place in history, not one with the rigidity and dogmatism of a national deity who cannot be criticized. The freedom of speech must be absolute. Finally, Turkey should continue to seek integration into the European Union by following the steps required towards becoming a modern democracy. Atatürk himself, a great pragmatist, would surely have recognized this and encouraged his country to continue the expansion of liberal policies, human rights, and all freedoms of expression. i don’t see any other leader in the history who was able to do what Atatürk did. He was extremely capable military officer and won the victories against the modern & superior european armies with his old army. He was extremely capable statesman who did revolutions for his nation. Overall, he spent his life for his nation. He is a true inspiration for the Turkish people. Its bit harsh to call him as a dictator after all the reforms he has done for modern Turkey. If you assess a period of time during the history you should consider the facts particularly the given period which being assesed. In that aspect, he is a great leader and reformist and commander. His vision was extraordinary. His vision was so vast it could not be frame-able. Finally, Turkey should continue to seek integration into the European Union by following the steps required towards becoming a modern democracy. Atatürk himself, a great pragmatist, would surely have recognized this and encouraged his country to continue the expansion of liberal policies, human rights, and all freedoms of expression. I think this is a very important point as i believe ataturk did a great job but his work was far from over. Many turkish forget to see his ideologies as not yet fully implemented and to continue his work. They are scared to touch any of turkeys social religious or political policies in fear that it will override ataturks work when in fact, his work was in my opinion just beginning and that they should continue to make changes to better turkeys future. I think your observations of Mustafa Kemal Ataturk is right on the money, he definitely was a dictator by the very definition of the word, albeit a dictator who served his country well under the then current conditions, but as you also mentioned the time to further modernize and enhance the democracy in Turkey has come, now with the recent reform in the military Turkey can now take bigger and faster steps towards it’s goal in becoming a more modern and contemporary country. If your definition of dictator is a man who does all for his country and the people of his country, then you are wright! But as we can see in some definitions of dictator that a dictator is a man who gets the power by force, it is not the case for Atatürk. He achieved a lot of military and social victories and he was given the total power of army at the world war 1. It is the Turkish people who gave him the name of Ata-türk, Ata=father, the ancestor and Türk=Turkish people, so Atatürk=Farther of Turkish people. I would have wished that all the countries in the world had knew Atatürk’s. He was a man of vision and freedom. All revolutions are done by force, not by democracy. So, all revolunists in the history were dictators, not democrats! And, here, when you talk about Turkish revolution, the shortest but the largest, the fastest but the most shocking one in all history, if you call Ataturk as a dictator, then you are out of logic. It is a revolution which took place in a nearly whole muslim country, where only %7 of the population were literate, without newtonian revolution or industrilization! You can only speak of nonsense or pejudice if you do not know what had happened and what were the conditions in Turkey then! lamb: which is in the book. and ı may be wrong about this, but ı found, in looking through it, that the number one — looking at all the numbers, the number one leader you found in the 20th century, from your political greatness scale, was atatürk. lamb: am ı right about that? lamb: and after him, mao. right after him, fdr. they’re very close. lamb: ı mean, on your point scale, atatürk had 31, mao 30, fdr 30, stalin 29, lenin 28, ho chi minh 27, de gaulle 27, deng — deng xioping 27, tito 25, suharto 25. ı can go on. I appreciate your reading and enthusiastic comment, but I feel like you probably didn’t understand what I wrote. 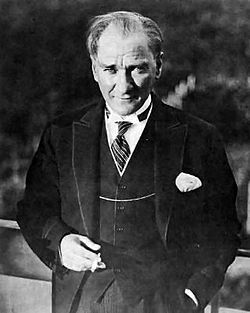 I explicitly made clear that I admire Ataturk and was not criticizing him, but that does not mean he was not a dictator. It is possible to be a dictator and do good things for your country, but in history it has only happened rarely. If anything, I am criticizing the leaders who followed Ataturk and the system that allows for a dictator at all. I am also highly skeptical of this political greatness scale and would not put much stock in it. It was probably created by some unreconstructed communist who overlooked the enormous suffering and mass murders caused directly by Mao and Stalin, but somehow “ranks” them equally with FDR. I wasn’t addressing you, but a commenter. On the other hand, the scientist which has constructed the scale is not a communist, he is not a social scientist either. Check the web site. You can even google the book.